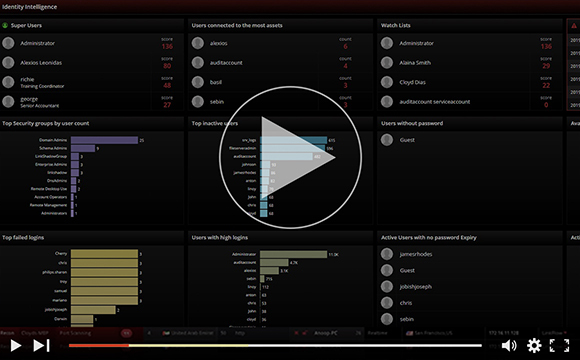 Visual trend analytics on user behavior including authentication patterns, application usage habits, etc. Pin point high risk users based on machine learning and clustering of peer behavioral patterns. Constantly monitor high-profile users by adding them to the 'Watch List', and prioritize alerts on activities of Super Users. With increasingly sophisticated malware hitting enterprise networks daily, it is critical to guard the crown jewels effectively to combat these threats, especially, since they are getting more difficult to identify. However, such threats can be averted. With LinkShadow, organizations can analyze and profile network entities to uncover early signs of a breach, and underlying malicious behavior to pinpoint threat actors hiding in plain sight. Get alerted if a system is misused by detecting whether the entity is behaving normally by comparing historic and current port usage patterns, whether the right protocols are being utilized on accessed ports, and gaining visibility into relationships with other network entities.